I never really know what to make out of a Sunday. It is nice because it is a free day. But it is a free day for everyone so not a lot to do. And by the time it is 4 o’clock, I get this melancholic feeling the weekend is almost over. Is that weird? 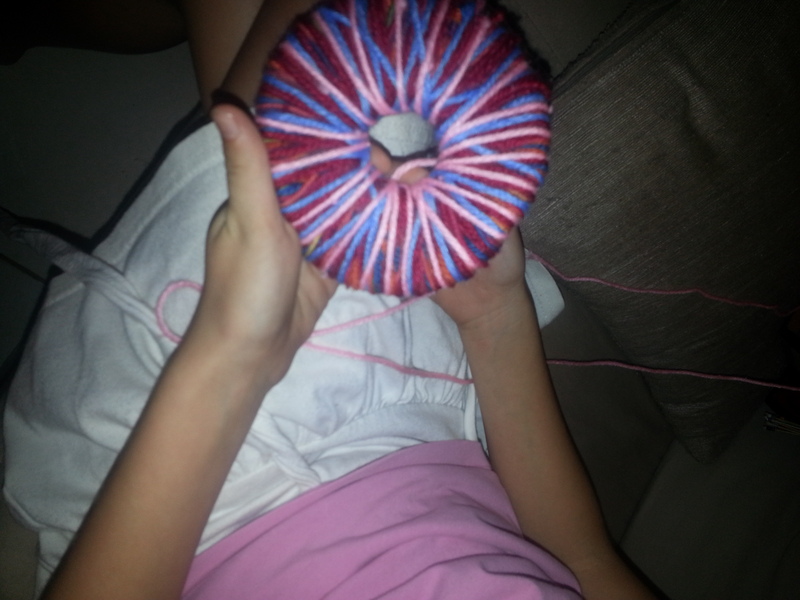 Axelle is into making pompoms and bracelets lately so that’s what we did..